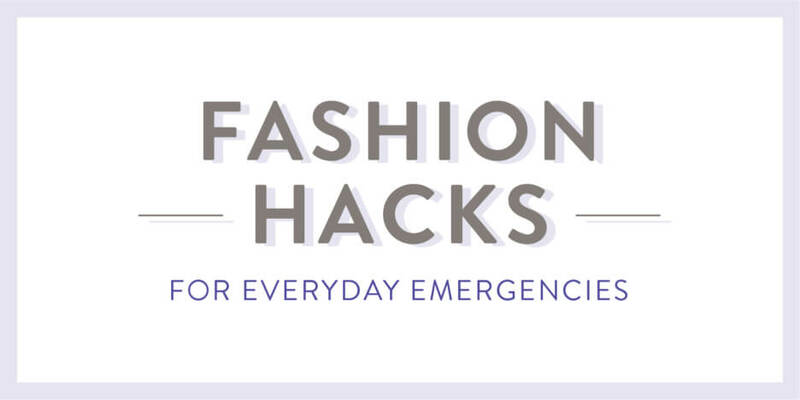 On the list of everyday emergencies, one of the fashion variety can seem like a disaster (let’s be honest). From deal-breaking blisters (thanks to your latest shoe splurge) to white lint on your black pants, a fashion fiasco is no fun. But good news: these totable, multi-purpose, MacGyver-approved tools are here to save the day! Carry them in a cute clear clutch in your bag & always be prepared. A smile is your best accessory! 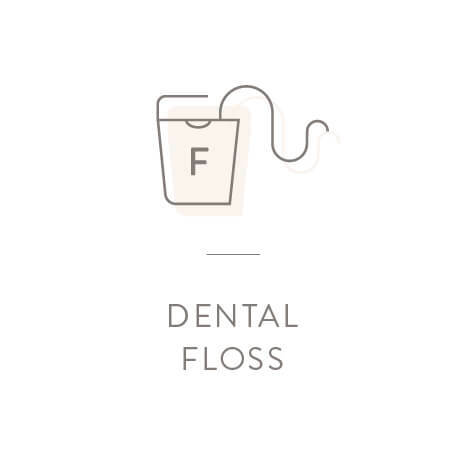 If you’re on your way to a first date or job interview, make sure you do a quick once-over with floss to avoid an embarrassing kale mishap. It’s also great as a stand-in thread if your fave bracelet or necklace chain breaks. Snag got you down? 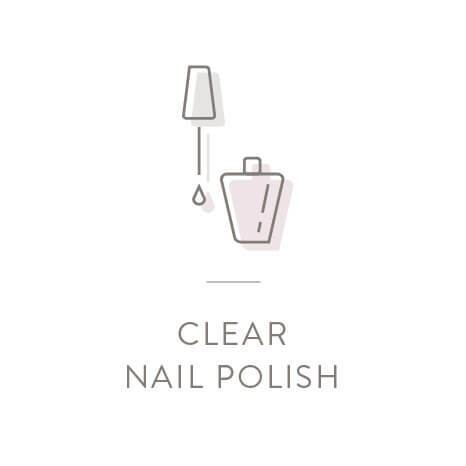 Clear nail polish will stop a snag in your tights from turning into a full-on run. 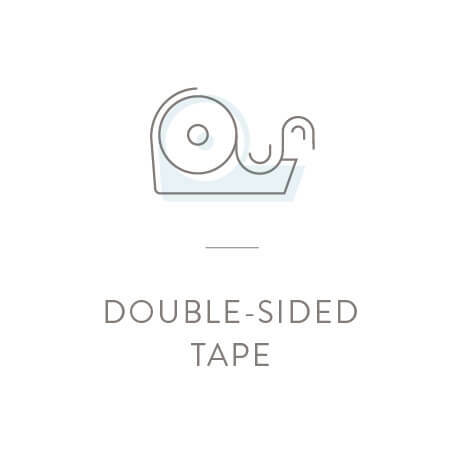 This miracle worker will also prevent a lost button by keeping threads in place. The best part? Only a small dab—in each situation—will do. More versatile than a lint roller, this double-sided superhero stands in as a quick solution to pesky lint. It also acts as an impromptu trouser hem repair kit if you’ve lost a stitch. Brows are back in a big way. Keep yours coifed & smooth with a spritz of hairspray—just make sure you apply via your finger, not sprayed directly on your face. 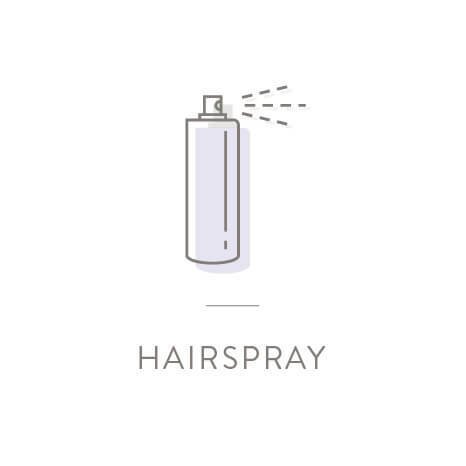 Hairspray is also a no-slip solution for your slips—keeping your skirts & dresses free from static cling. There’s nothing worse than a mani that’s finally met its doom. 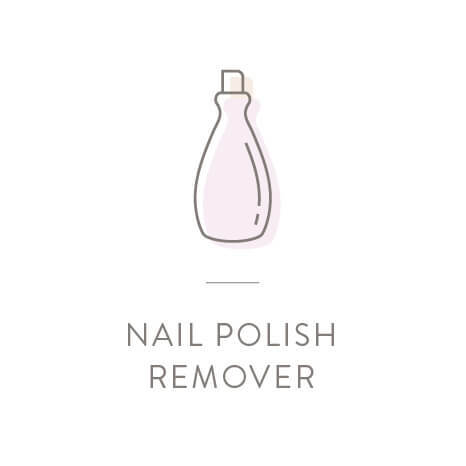 Not only can it get rid of peeled-off polish lickety split, but it’s also handy for removing ink stains on your skin. 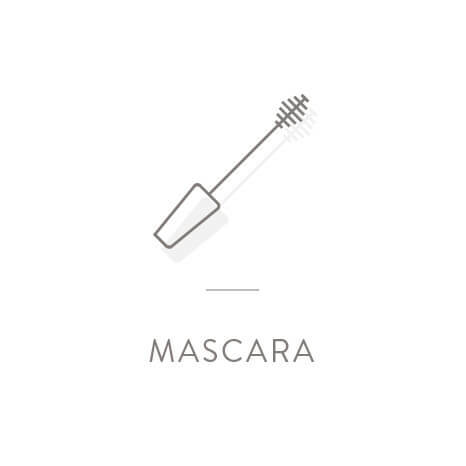 Mile-long lashes are always “in” (and it never hurts to touch them up!). But did you know mascara also acts like shoe polish for covering up scuffs on black shoes? 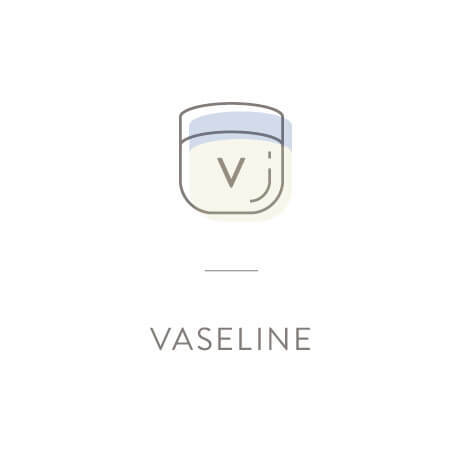 Vaseline has been a go-to beauty savior since, well, forever. Its uses are infinite, smoothing frizzy ends, highlighting your cheekbones, solving dry skin woes & even helping unstick tricky zippers. 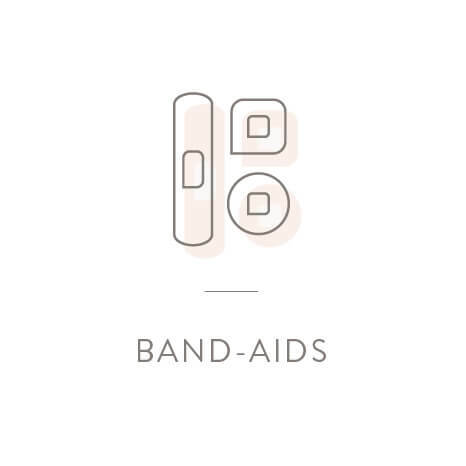 A first aid must-have, these have been coming to the rescue since boo-boos, blisters & raspberries. A grown-up tip? Wrap them around both your third & fourth toes when wearing heels—it takes pressure off the balls of your feet. 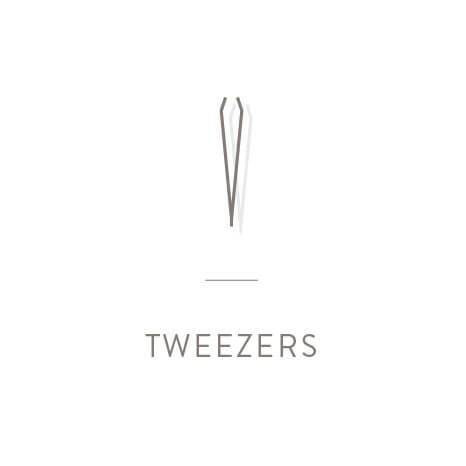 A quick way to remove errant eyebrows or for removing painful splinters, Tweezers also come in handy if you need to repair or untangle jewelry in a bind. Or even if you need to tighten your eyeglass screws. 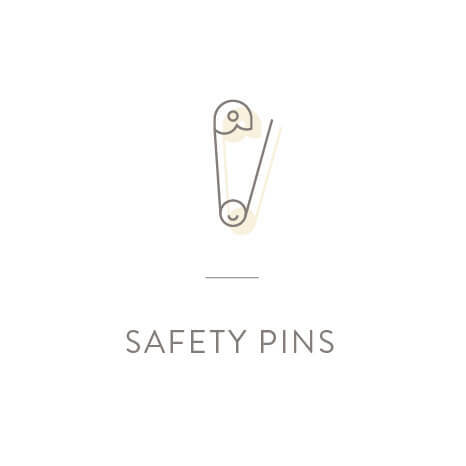 Safety pins—a sewing kit staple—are perfect for instant hemming, repairing holes or replacing a broken zipper or button. Having one on-hand is a savior for keeping a button-up blouse from exposing your bra.